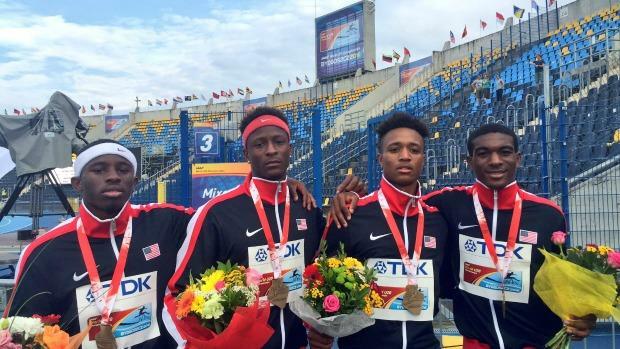 The Team USA 4x400m relay came in as the third seed into Sunday's final race of the IAAF World U20 Championships. Botswana ran 3:03.75 in the prelim while the boys in red, white and blue ran a respectable 3:07.87 even with a botched hand off to start the race. This time Champion Allison and former American High School standout Ari Cogdell perfected the handoff, but Cogdell didn't have it easy facing off against Baboloki Thebe of Botswana, one of the favorites to win the open 400m dash, but was disqualified. Baboloki split 43.5 with Cogdell split 45.5 on his leg. 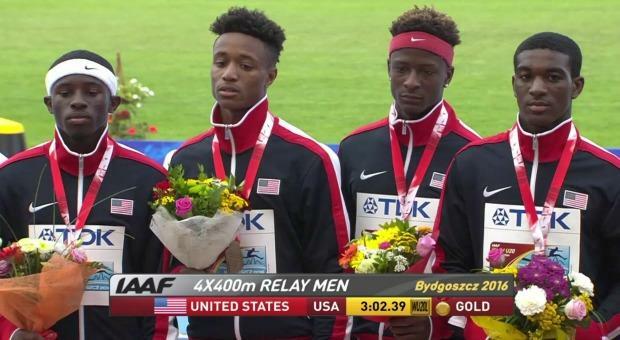 Will London brought it home for Team USA who edged out Botswana in a new world leading U20 time of 3:02.39. Nicole Greene, who owns multiple state championships in Florida in the high jump, as well as a New Balance National Championship from her time in high school, ended her freshman track and field season with a fifth place showing of 1.83 meters or 6'0". Greene is scheduled to compete unattached next Saturday at the Jacksonville Athletic Club Summer Series where she will go head to head with American Record Holder Chaunte Lowe who recently qualified for her fourth Olympic Games.